If you've never had a gourmet marshmallow before, you're missing an amazing experience. These are not your store-bought marshmallows. Each marshmallow is hand-crafted, hand-cut and infused with the love we have for creativity. We make each batch with the finest ingredients we can find, create flavors to match your liking, and can customize your delicious favor to any shape that we can find a cookie cutter for! Our marshmallows are unlike any other you've had before, and we are sure you'll agree. Even those who don't like marshmallows have come to enjoy ours. Feel free to contact us via email, phone, or Facebook! We look forward to serving you! I've known Jason & Michelle for quite a long time. Their gourmet marshmallows are delicious and that is something coming from someone who isn't a fan of the store-bought marshmallows. 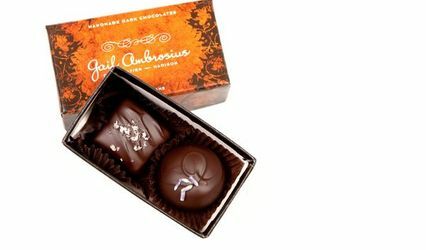 The Jazzed-Up Marshmallows have a different texture and the flavors that Jason & Michelle come up with are AMAZING!!! I originally had requested Raspberry Lemonade & Summer Peach as my 2 flavors and Michelle took it a step further and made a Peach Cobbler marshmallow. I heard guests were tracking down any extra marshmallows at the end of the night because they were so delicious! 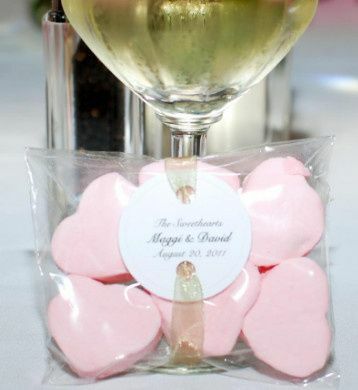 I would HIGHLY recommend getting "Jazzed-Up" wedding favors at your wedding. Their flavor list is endless so there is no doubt that each person will find a flavor they enjoy!! -Jason and Michelle are great to work with! -The marshmallows taste great and there are dozens of flavors to choose from! - Our guests loved them! - The presentation of each favor was lovely and perfectly matched our theme! With their coffee and loved them...... I will definently use this vendor again!! !